January | 2012 | Extollagy! 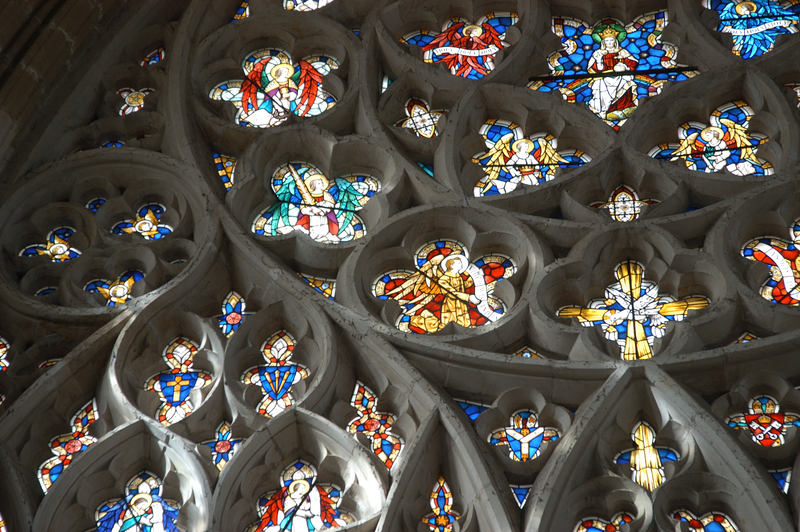 For indepth, fascinating tours of two mind-blowing buildings and their history, why not join my dayschools being organised by a group of former students at Exeter Cathedral on 28 April and Wells cathedral on 7 July. Each includes a fascinating half-day tour of the cathedral itself. Contact me — jon_cannonAThotmail.com — if you’d like to know more! … and don’t forget my other upcoming events… https://joncannon.wordpress.com/talks-and-tours/calendar/. It’s often struck me that one of the most striking aspects of late medieval design is the Death of the West Front. There is simply no equivalent post-1350 for the show-off public art of the Wells, Salisbury, Exeter, Lichfield, Lincoln or York west fronts — or even the less iconographically ‘loud’ but equally emphatic earlier examples at, say, Rochester or Ely. Indeed there is a rather emphatic move away from such things: at Winchester a grand romanesque westwork was pulled down and replaced by one of the plainest great church west fronts in the land. Now these things might always have seemed a little vainglorious even by cathedral-builder standards — no one ever even attempted to match the Wells display, nor do we know how many, if any, even understood it — but it struck me today that there might be more to it than that. One thing Perp is obsessed with is the insertion of enormous windows into existing west fronts — think Norwich, or Southwell, not to mention the new examples at Beverley, Bath and (yes) Winchester. It’s almost as if the sculptural display has been replaced by one in stained glass. And then it struck me that the whole style could be seen as a sign of a marked move of taste away from sculpture and towards glass. One wonders if the glass was cheaper, or whether the preference was simply aesthetic… and following on from that, whether this point of vie might not be a key to the defining feature of the style itself, the panel. After all no other motif is better suited to creating patterns that can be filled conveniently with rows of standing saints and other images. This reverses the usual perspective on architecture, but a similiar argument has been made for Chartres much earlier, and by extension for the birth of gothic itself. But it also turns the perception of these west fronts inside out, meaning that (for example) Winchester, Beverley and Norwich where relatively ‘quiet’ externally compared to their statue-draped predecessors — but also much louder than these earlier churches internally, with this mighty expanse of figured glass dominating the nave.